It was a pretty old type of motorcycle, but it was nice to have a change. It was easier to install than the damaged muffler. I do not care about the sound. This review is about item#41975771. 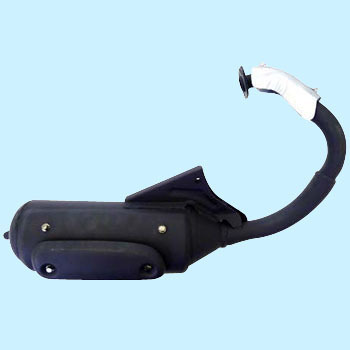 Considering the usage situation of the customer, we replaced the muffler. The small exhaust displacement 2 cycle scooter was effective, it became an engine feel like a new car. Installation is also fine, the shape of the exit is different, but the durability is unknown. There are many corrosion in the beach area, it looks like genuine, it does not resist customers as well. Genuine is expensive and you can use it without problems if you want to make the repair cost cheaper. No problems with volume and performance, durability is okay. This review is about item#41975787.